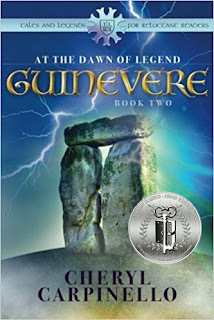 Author Cheryl Carpinello’s Guinevere: At the Dawn of Legend is book 2 in the continuing Tales and Legends for Reluctant Readers series. At the commencement of this story Guinevere, at fifteen years of age, remains unmarried as Arthur Pendragon leads legions of men to battle while war rages throughout Britain. Guinevere and Cedwyn, still clinging to their adventurous youth, have snuck out of the castle only to discover that battle looms closer to home than they could have ever imagined and renegades who had planned to kidnap Guinevere have taken the children at the castle in her stead. Young readers are instantly swept into this thrilling fantasy adventure series as Cedwyn comes into his own as a young man hopeful to someday become a knight. Guinevere continues to shine as a strong female protagonist in this highly engaging series which is suitably written for reluctant readers, but equally appealing for readers of all ages. 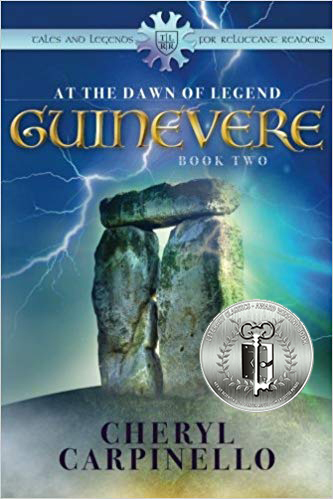 Recommended for home and school libraries, Guinevere: At the Dawn of Legend has earned the Literary Classics Seal of Approval.